Sometimes it is so nice to get out of normal – to step outside the routines and patterns that shape your typical day and week – to stretch and play and eat and be in a way that is true to yourself, but also outside of yourself. The experience is both refreshing and affirming as it provides perspective on the life you have chosen and the people that you love most – absence makes the heart grow fonder. I just spent three days travelling sans family to the East Coast to visit a best friend and to celebrate the wedding of another friend. This trip was the longest non-work-related trip I have taken away from my family and it was pure indulgence in so many ways. Without the duties of home and family, I got to spend hours talking and hanging out with one of my best friends in the world. We ate al fresco and very well on multiple occasions and at odd hours. We slept in, ran together, puttered about, and did yoga in our underwear using bath towels as mats. We talked about our kids and our husbands and our jobs, and then because we had the time, we talked about the other things in our lives that we might not otherwise normally get to. With a limited agenda, I got to spend hours running in a beautiful new place. 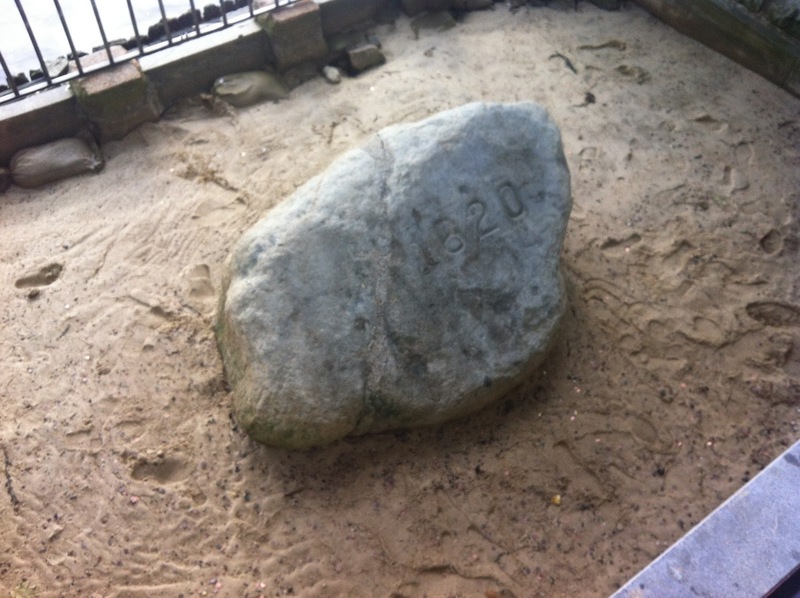 I did one long run along the New England coast with Plymouth Rock (a.k.a. smallish boulder) and the Mayflower as backdrops. I did a second along a chain of wooded lakes, taking branching paths until I deadended at a lakeside beach. With relaxation and self-care in mind, I took long, luxurious showers, got a facial, and in an uncharacteristic (but price-negotiated) splurge, got my makeup done, although I undid most of the glamour before actually going to the wedding. With deep interest, I finished a book (Gretchen Rubin’s The Happiness Project). The issues raised in this book resonated strongly with me, and I plan to explore some of the tenants further - in my life and here at MommyTasker. 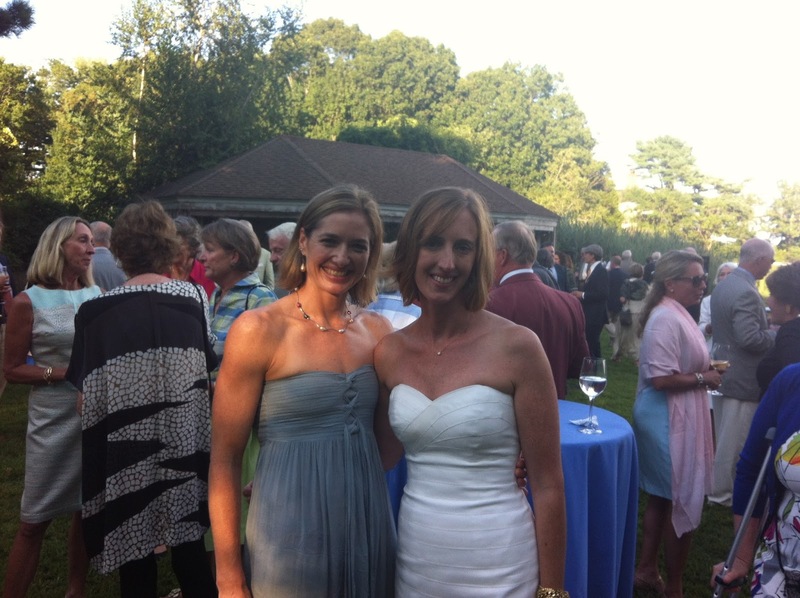 With great joy, I celebrated my friend’s marriage in a magical garden setting overlooking the water. An adventuresome spirit, the bride arrived by boat and thus began the rather epic event, complete with tears, laughter, dancing, and fabulous food and cocktails, all of it replete with New England charm. Although I very much enjoyed the wedding, two elements of it were rather bittersweet. 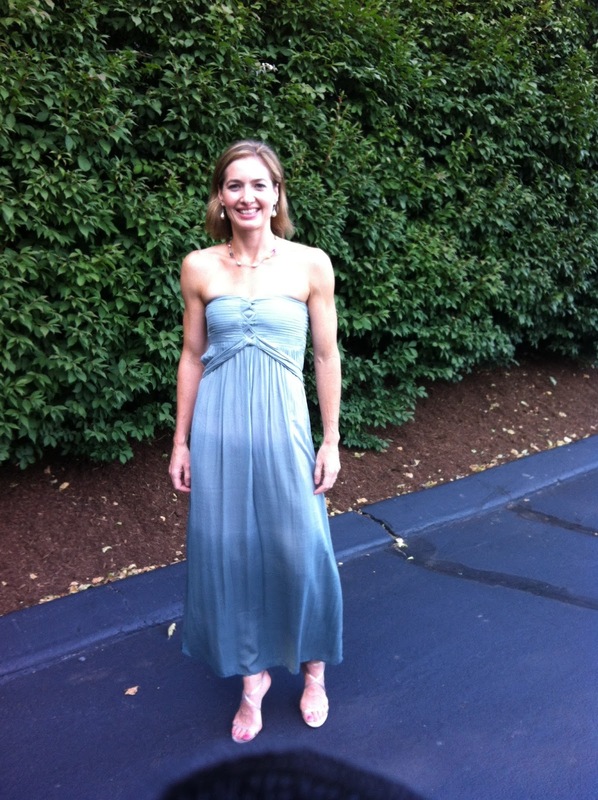 The first is that being there forced me to acknowledge how much distance had actually formed between the bride and I. For the last five years, while I have been ensconced with birthing and raising kids, she has continued with the mountain biking and climbing and travelling that so defined our once-very-close friendship. By virtue of less time spent, and such massively different priorities, we have necessary grown apart. To illustrate the point, one of her childhood friends that was seated next to me mentioned that she had heard so much about me, and then recounted the disappointment the bride had expressed to her when I had my children. It was not that she wasn’t happy for me, it was just that she could not relate to the fact that I was trading in my life of fun and adventure for the life of a mom. That being said, I felt a real mutual tenderness in my interactions with my friend, and we parted with renewed expression of interest in getting together more often. Now married, she is necessarily in a different phase of her life that better approximates where I am. Perhaps in that we will have more commonality again, even if there are 25 miles and a traffic-filled bridge between us. The second piece of bittersweetness stemmed from the fact that I attended the wedding solo, only my second time ever doing that. I actually appreciated the experience, both for the challenge of it (withstanding the East Coast pedigree assessment: What is your last name? Where did you grow up? Where did you go to college? What do you do for work? ), and the enjoyment of it (dancing, dancing, dancing). But there were also times where I felt the tug of missing my husband, especially in those moments of tenderness witnessed during the ceremony and on the dance floor. Part of being a mom is giving up some of yourself to foster the growth and development of your children and to nurture the wholeness of your family. Some relationships and experiences can be casualties of those tradeoffs, at least temporarily. A true test for yourself and the resiliency of your relationships is who you have in your life and what you want to do as an individual when you come out of the infancy tunnel, or other major developmental milestones or life transitions. Now, as my son turns two, I am just starting to figure that out. My recent foray into a new job, and this latest weekend escapade are part of that ask. I plan to have many more opportunities to grow and reassess over the course of the next few years. I give many thanks to my amazing husband and my father, whose teamwork facilitated me going on this trip; to my children who forgave me for leaving without saying a proper good bye; to an amazing world that has so many places to explore; to my friend who has never been far from my heart and who made the effort to leave her family behind to spend the weekend with me; and to the friend who has found the love of her life, and in doing that perhaps will come more fully back into mine. Summer is ending, but each day is a new beginning.